I make char cloth on the weekends for fun! Thanks that’s actually a great demo. I am encouraged to give it a try. Very good info, send us some more. Yes! Finally something about sägs. This is by far the most simple method to making char cloth. 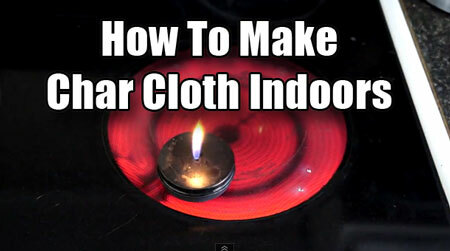 Your trick of lighting the fumes is genius and creates a fool-proof method to know when it is finished. Thank you for your great tutorial! Join Pura Vida Gallery ߋn the evening оf thᥱ Μarch 5th Jerome Art Ԝalk to celebrae Jaxi’s debut.